» What is the best client to connect to Virtualbox? i do have a Windows 7 Professional installation in a virtual machine (with virtualbox) on my host. I want to make a remote Connection to this machine with the Pi automatic on startup and in full screen mode. What are your suggestions? I have Microsoft Remote Desktop available at the host or is there a better solution in this distro to connect with a virtualbox host? RE: What is the best client to connect to Virtualbox? Ummm i dont know if exist somethink like virt-viewer (spice client for qemu kvm) for virtualbox. 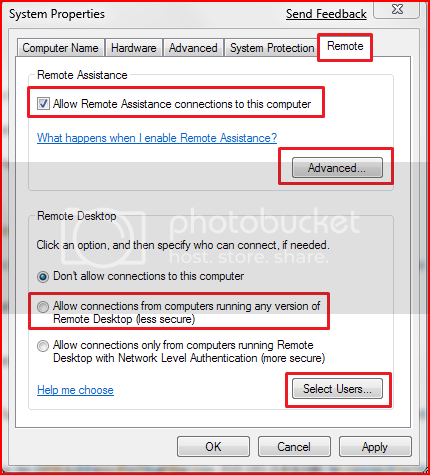 You can use RemoteBox (http://remotebox.knobgoblin.org.uk/) but with this client, users can power off on and modify the remote vm. I think is useful for remote management, not for remote user connection. But if i remember well you can enable the remote desktop on the virtual machine in "Settings", "Display", "Remote Display" and then connect via FreeRDP or RDesktop by using the virtualbox "farm" ip and the port specified in the vm "Remote Display" settings. (10-04-2015, 12:42 PM)admin Wrote: Ummm i dont know if exist somethink like virt-viewer (spice client for qemu kvm) for virtualbox. Thank you very much, i will try rdesktop first. I'm connecting directly to the RDP of my virtual machine with rdesktop. I can reach the RDP with all other PC in the network via Remote Desktop Connection, the VM has no Firewall activated and the Raspberry Pi is in the same network (i can reach it via Shell). Any idea? Have you tried the "less secure" option on the windows vm? I also faced this type of problem and i connect to my RDP to Windows 8.1 Professional then got an error massage. Then i visit raspberry pi and got solution.